The sun is shining, the birds are chirping, and the flowers are beginning to bloom. Do you know what that entails? Spring cleaning! While it may not be everyone’s favorite activity, one has to admit that it’s a great feeling to have a newly clean area. And spring cleaning isn’t only for your home! Could your workspace use a fresh makeover as well? As we’ve said before, a clean workspace helps boost productivity, so not only will you be helping enhance the appeal of your facility, but also helping with business as well! 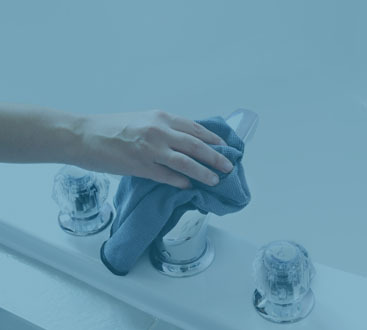 In this post, we’ll be providing a few tips on tackling your spring cleaning duties! If you would like more information or would really like to have your work area look immaculate, then contact Augie’s today for our commercial cleaning services in Detroit and the surrounding areas! The outdoors isn’t the only place that should have some color, consider adding some plants around the office! This will help make a good impression to potential customers and will add a little bit of life to the office. Some great options are geraniums or begonias. When was the last time that your floors had a good cleaning? 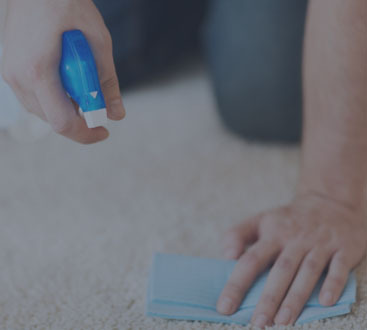 No matter if your office has hardwood floors or carpet, the cleanliness of the floors directly reflects the manner in which you do business, so you want to make sure that it’s clean. Even if they get vacuumed consistently, there is still likely some crumbs and debris hiding there. Hire the professionals to deep clean your floors! We’ll make sure that your floors look brand new when we’re done. If your company has been in business for some time, it’s very likely that you’ve accrued a lot of paperwork and clutter that is no longer needed. Spring cleaning is a great time to get rid of these things and open up some space in your office! Get rid of the file cabinets that are no longer needed, throw out the squeaky chair that no one sits in, go through your files to see if there are any that aren’t necessary anymore. We’re sure that you’re well aware, but the breakroom is known to be one of the dirtiest places in the office. Now is your time to start over! Really take the time to scrub the room down. Wipe the crusty spaghetti sauce off the inside of the microwave, go through the fridge and throw out any old food that no one is going to eat, tackle all the cabinets and surfaces, etc. Your employees will be happy to eat in a clean breakroom, and might even try harder to keep it that way. The exterior of your office building is the first thing that your customers will see, and you want to make a good first impression. Over time it has likely built up its fair of mildew, water stains, spiderwebs, and who knows what else. A quick and easy way to clean the exterior is to powerwash it! Just make sure that the surface of your building can withstand the pressure. Does none of this sound appealing to you, but you would still like your office spick and span? No problem! Augie’s Janitorial Services is proud to offer comprehensive commercial cleaning services to make sure that your facility is clean, and that it stays that way. If you would like to learn more about how we can help, or if you’re ready to kick off this spring cleaning with help from the professionals, then don’t hesitate to contact us today for a free quote!